Everglade Windows has added Privacy Screens to its exclusive range of cross-selling opportunities for installation companies who sell and install wide-span bi-fold and sliding doors. Launched to customers at the annual Everglade Trade Customer Conference, Privacy Screens are dual-purpose as they also act as insect screens for homes that are installing glazed doors with very wide openings. Jay Patel, Sales and Marketing Director at Everglade Windows said: “From talking to customers, we know that privacy screens are in high demand from homeowners. Creating huge openings using wide-span bi-fold and lift & slide doors is a massive trend with homeowners choosing the open-plan living lifestyle. Often, it’s not until the doors are fitted that they realise their everyday lives are in full view of all their neighbours! 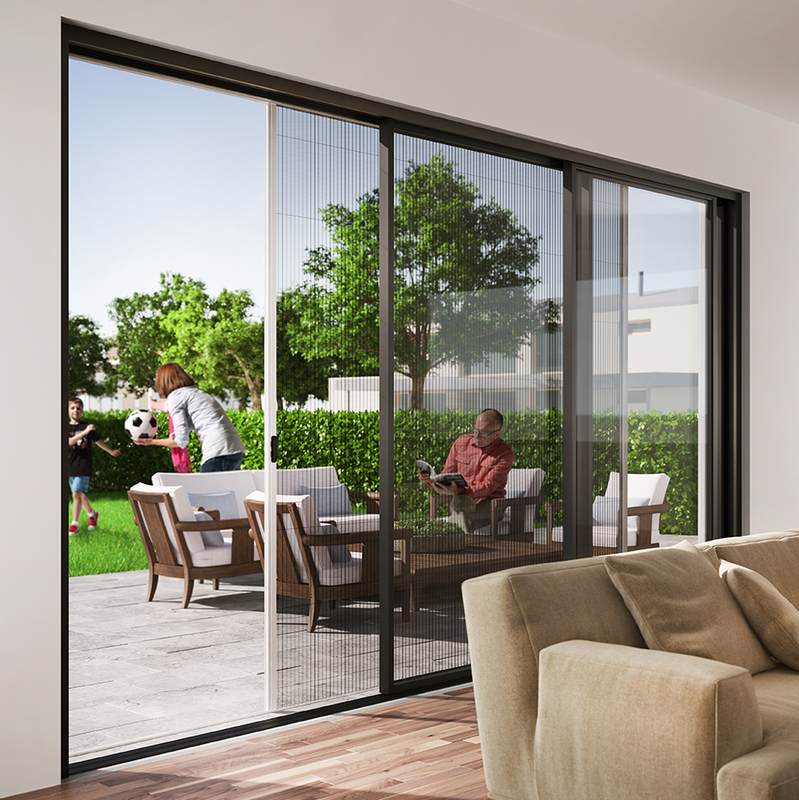 Privacy Screens have minimal sightlines and are available up for wide openings, so they are perfect for Everglade’s range of wide-span aluminium doors, including the exclusive aïr door collection. Installers can see the screens in action at Everglade’s award-winning showroom in West London.